Designed for mountain and expedition use up to 6000m, the Positron Pro Jacket uses a Pertex® Quantum Pro shell to provide protection from the weather, and is filled with the highest quality 800 fill power ethically-sourced down. Box-wall construction on the torso, hood and upper of arms provides extra insulation on more exposed areas, while stitch-through construction on the underarms and side panels allows increased mobility while reducing bulk, weight, and packsize. 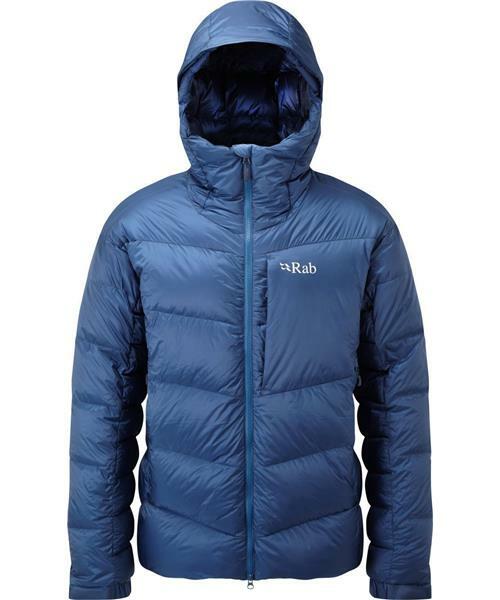 A two-way front zip with synthetic insulated baffle behind provides maximum warmth, and helmet compatible down filled hood has wired peak and face baffle. Concealed hood adjusters are easy to use with gloved hands. The Positron Pro is optimised to offer the perfect balance of mobility, comfort, and protection in very cold conditions.